“One day, girls like me will make films right here in Toronto, see. And the stiffs will line up to buy tickets. Maybe there will even be a film festival of some sort. Just you wait.” – Mary Pickford, possibly. 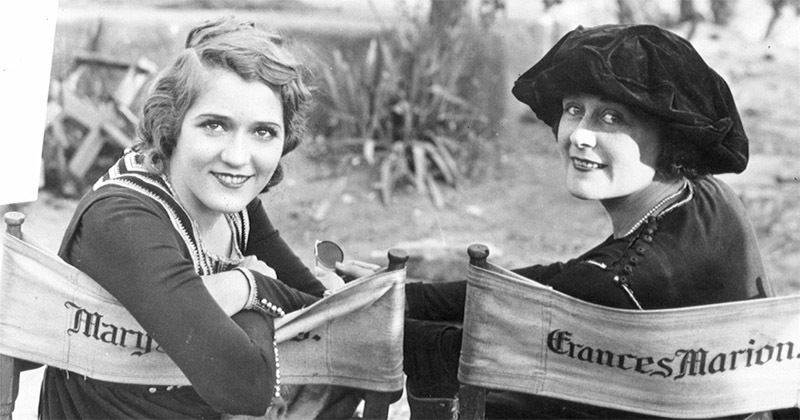 On this day in Canadian history, April 8, 1892: ‘America’s Sweetheart’ Mary Pickford, nee Gladys Louise Smith, is born in Toronto, Ontario. A founding member of United Artists, Pickford will work with greats like Charlie Chaplin and Douglas Fairbanks. A star of the silent film era, a producer and a director, Pickford will win two Academy awards, including Best Actress in 1929 for her role in Coquette. There’s a lot of things that America has claimed as her own, for a long time, which are in fact Canadian. Many brilliant actors, musicians, scientists and academics all have their roots in Canada, but moved to the US to make it big. The ‘brain drain’ to the south is still a thing, but it’s getting better. New media celebrities are creating content right here at home and using the internet to skip Hollywood and reach a global market. Here’s to the next generations; may they be made in Canada and marketed in Canada. iAnthus announces licensing agreement with Women-Focused Infused Products Brand, Blissiva. iAnthus Capital Holdings, Inc. (CSE: IAN) announce a licensing agreement entered into between its U.S. subsidiary and Blissiva, a women-owned, Maryland-based company specializing in producing and distributing medical cannabis products specifically formulated for women. Delrey acquires vanadium assets, strengthens portfolio within strategic energy metals sector. Delrey Metals Corp.(CSE:DLRY) has entered into and closed a share purchase agreement to acquire all the issued and outstanding share capital of WEM. International Cannabis completes strategic investment into pioneering biosynthesis cannabinoid company; formed by leading group of MIT/Harvard healthcare professionals. ICC International Cannabis Corp. (CSE: WRLD.U) announce the completion of a USD $1.2 million strategic investment into Biotii Technologies Corp.
Biotii is actively pursuing genetically engineered microorganisms that express cannabinoid profiles identical to those found in nature, at a fraction of the cost of current cannabis production methods and with more consistent production quality. Biotii is also endeavoring to replicate similar target drug molecules that cannot be easily manufactured utilizing chemical processes alone. Spearmint Resources Inc. (CSE:SPMT) has acquired the ‘El North 3’ claims package; this new acreage will result in a contiguous land package now totalling 17,593 acres bordering Garibaldi Resources Corp. in the Golden Triangle of BC. Green Thumb Industries (GTI) announces full year 2018 revenue of $62.5 Million, 278% year-over-year growth. Green Thumb Industries Inc. (CSE:GTII) is a leading national cannabis consumer packaged goods company and owner-operator of the high growth national retail chain Rise. They posted fourth quarter revenue of $20.8 million, 21% sequential growth. Full year adjusted EBITDA of $21.5 million and fourth quarter adjusted EBITDA of $12.4 million. AgraFlora Organics International Inc. (CSE: AGRA) and ICC International Cannabis Corp. (CSE: WRLD.U) have entered into an agreement whereby AgraFlora will transfer its portfolio of exotic, native Colombian cannabis genetics to ICC for international marketing and distribution purposes. “This partnership further equips International Cannabis with the ability to provide highly coveted Colombian cannabis flower to its global distribution network of approximately 39,000 pharmacies and retail outlets,” said Eugene Beukman, CEO of International Cannabis. Deer Horn Capital Inc. (CSE: DHC) announced that it will partner with First Nation mineral exploration entrepreneur Allen Edzerza to explore highly prospective areas of northern BC. Preve Ceutical announces further results from its preliminary screening of peptides derived from Blue Scorpion venom in a cell-based brain cancer model. Preve Ceutical Medical Inc. (CSE: PREV) announce further positive results from the preliminary screening of key peptides from its scorpion venom-derived peptide research and development program that is expected to enable the Company to generate Nature Identical peptide therapeutics intended for therapeutic applications. Zanzibar Gold Inc. (CSE:ZBR) reports on its copper gold and vanadium property on Vancouver Island. Samples confirm, gold and vanadium trend cuts across the whole property. During this initial program soil and rock samples were taken in the area and analyzed for ICP 30 elements. Preliminary geological mapping and analysis was also undertaken. Eureka 93 Inc. debuts as one of the largest hemp CBD extraction operations in North America. The shareholders of LiveWell Canada Inc. (CSE:LVWL) approved the amalgamation of LiveWell with Mercal Capital Corp. and Vitality CBD Natural Health Products Inc. There were 97% votes in favour of this amalgamation based on over 75 million casted voting shares. This was the final shareholder approval of the three companies and the new company is to be called Eureka 93 Inc.
Subject to final approval by the CSE, the Company will resume trading its securities on the CSE with a new stock ticker:ERKA. 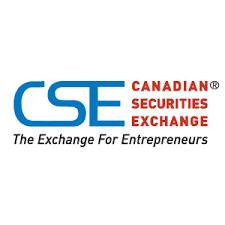 The Company anticipates receiving final CSE approval sometime in April. Next Green Wave Holdings Inc. (CSE:NGW) announce that it is releasing its’ second pet product, Loki Naturals CBD Tincture with influential brand partner Loki the Wolfdog. The whole flower CBD tincture contains a single origin cannabidiol formula grown in Colorado. The extract is free of GMO’s and contains many essential fatty acids vital to a dog’s healthy diet. AREV Brands International Ltd. (CSE:AREV) announce that BC Bud Depot has commenced an intensive phase of developing new proprietary strains. The BC Bud Depot genetics vault is a collection of over two hundred unique and elite cannabis strains collected over 20 years. Many of the strains are believed to no longer exist anywhere else in the world. Seeing a deficiency in the variety and qualities of cannabis strains made available to the medicinal and recreational markets by Licensed Producers in Canada, BC Bud Depot has begun germination and selection from its extensive proprietary genetics vault of breeding stock for new strain development. Yield Growth begins expansion into China’s billion dollar hemp market. The Yield Growth Corp. (CSE:BOSS) enters agreement with consultant Pontier Services to set up Urban Juve hemp beauty products for sale through China’s most popular messaging app, WeChat, and to launch a marketing campaign with a pop-up kiosk to rotate through luxury shopping malls and other major locations in Hong Kong for three months beginning in June 2019. MGX Minerals Inc. (CSE: XMG) reports that its wholly owned subsidiary MGX Renewables Inc., a leader in the development of zinc-air flow batteries for applications requiring long duration, high capacity storage, has received conditional approval to list its shares on the CSE. MGXR expects the listing to be finalized and shares to commence trading shortly. Premier Health Group Inc. (CSE: PHGI) launch an international expansion strategy to broaden its reach through its medical cannabis initiatives. As more countries legalize medical cannabis, Premier Health will be focusing on selling its comprehensive Electronic Medical Record (EMR) platform with medical cannabis software integration for education, decision support, and the prescription of medical cannabis to fast-growing markets in countries such as the US, the UK and Australia. It was an ‘echo week’ on the CSE as our market began to experience the corrections mirrored in global indexes. We opened at 900.41, falling to a close on April 12th at 854.95. “The next round of earnings for Canadian companies is going to look fantastic,” Ryan Bushell, president of Newhaven Asset Management, told Yahoo Finance on April 15th. Ryan was speaking about the Canadian energy sector – specifically oil. Western Canadian Select recently crested above US$55 per barrel after trading for just $10.29 in late November. As oil prices rally, so too does Canada’s key export. And with it, it follows, so do our markets. “I tend to look at things from the point of view of what does humanity need, not what does it want, and try to invest in things that we absolutely need. I think this is one of them,” said Ryan. Humanity needs a lot of things, many of which Canadian companies can supply. From cannabis to fuel oil, our markets are poised to have one hell of a ride in 2019. Here’s to your ride this summer. Happy investing.